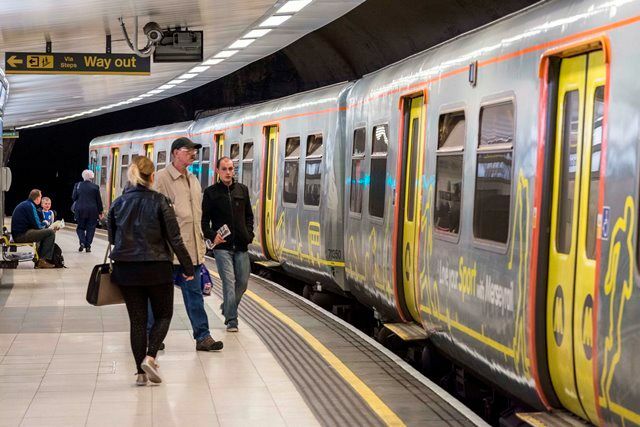 A Swiss rail giant has sealed a deal worth up to £700m with Merseytravel to build and maintain 52 metro trains for use across the Liverpool city region. Stadler's new trains are expected to carry 60 per cent more passengers than the current ageing Merseytravel fleet while retaining the same number of seats and cutting journey times by up to 10 per cent. The new four-car trains are due to all be in service by 2021, with the first unit arriving for testing by the middle of 2019. The value of the Stadler manufacture and maintenance contracts for the 52 trains is up to £700m and Merseytravel also has the option to trigger the manufacturer of a further 60 vehicles. Stadler today signed contract with Merseytravel worth up to £700m to build and maintain 52 trains for the Liverpool City Region.